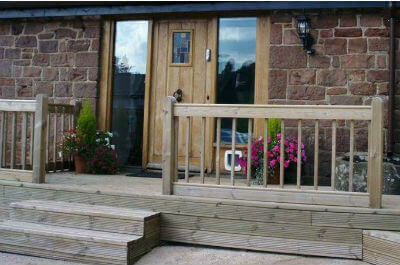 A fabulous 3 bedroom barn conversion 2 miles from Ross on Wye. Sleeps 6. 2 double bedrooms, one twin bedroom, sitting room, open plan kitchen/dining room with logburner and large glazed window out to garden and outdoor covered bar area. 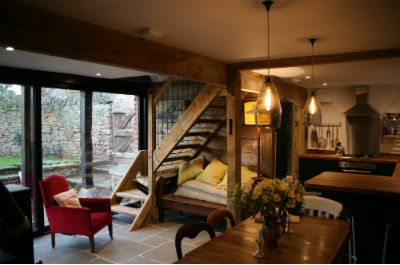 Full of rustic charm using upcyled wood, the Hayloft retains its original 150 year old beams and is decorated to a high standard. Ideally located close to the River Wye with walks and cycle routes right from the doorstep. Can be taken in conjunction with Mad Dogs & Vintage Vans glampsite - please click on the link below. For more information contact Jo on 07966 474323. 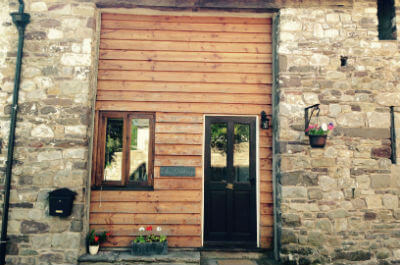 Lilac Cottage is an attractive and well-equipped two bedroom stone barn conversion located near Abergavenny in the stunning Brecon Beacons (sleeps 4-6). It has a characterful open plan downstairs with a separate entrance hall and a living area with double corner sofa bed, armchair and a wood-burning stove. Lilac Cottage is ideal for cyclists, walkers, runners, adventure seekers and active families alike. New for 2018 is a purpose-built brick bike shed for up to 6 bikes. Carol and Andy have been very busy exploring the area with their family and can help with recommendations. Puzzlewood in The Forest of Dean have three cottages; two that accommodate 4 and one sleeping up to 8. Guests at the cottage, are entitled to unlimited access to Puzzlewood and its attractions, all year round, and providing there is adequate light, can explore the wood, outside of normal public visiting times. A very central base in the Forest of Dean you are never far away from many attractions and only about 15 minutes drive to Monmouth. 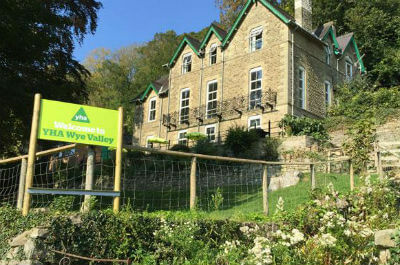 YHA Wye Valley, formerly Welsh Bicknor, set in 25 acres on the banks of the River Wye, is great for activity breaks or school trips, it even has its own canoe landing station! Located in the heart of the Royal Forest of Dean, close to Symonds Yat Rock, there's a course on site for orienteering holidays and there are miles of footpaths to explore for walking holidays and trails for cyclists of all levels - perfect for cheap family activity breaks. 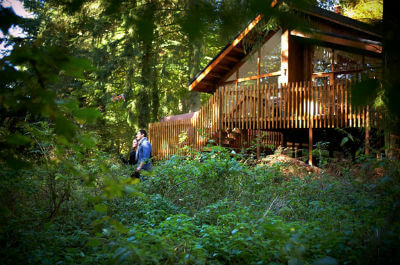 Forest Holidays, Forest of Dean Cabins are perfect for a relaxing break or active family holiday with miles of traditional English forest to explore and spectacular views to admire. 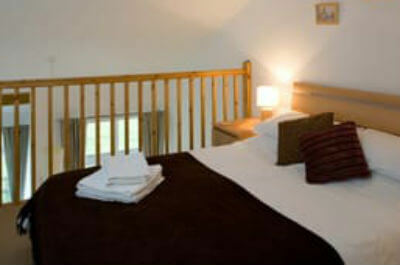 Cabins are available from 2 – 5 bedrooms. 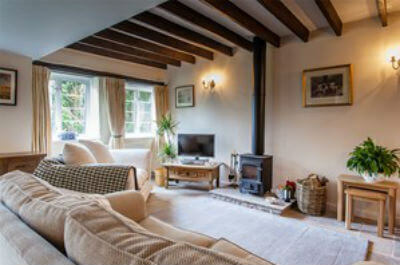 Ganarew Cottage is luxury self catering cottage in The Wye Valley. With four double bedrooms the cottage sleeps 8 and is great for families as well as small groups. Very spacious and located in a beautiful hamlet with great walking on your doorstep. This cottage is literally minutes from our base at Wyastone near Monmouth!